Benjamin Lewin MW, What Price Bordeaux? Vendage Press (an imprint of the Wine Appreciation Guild), 2009. Wine is bottled poetry, I have read, and bottled geography, too. 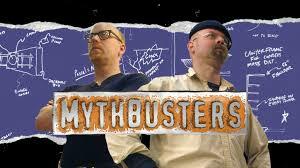 It is also liquid doubt. Uncertainty is a key obstacle to the purchase of wine because it is so difficult to know what’s really in the bottle at time of purchase (and, of course, if you will like it) . There are thousands of different wines from different places made in a myriad of styles. The uncertainty is magnified by the fact that wine changes with each vintage, each vintage changes as it ages, and we all have different tastes. Add to this the fact that some wines are frauds – not what they seem to be — and others are “lemons” with bad corks or random flows. It’s surprising, when you think about it, that anyone buys wine at all. Doubt is one of the biggest obstacles to the successful intersection of demand and supply for wine and much effort is expended in making consumers more confident in their purchases. Brands are one solution. A brand that has established a reputation for quality and consistency is a valuable thing in the wine market. This applies to both private brands like Robert Mondavi and to communal brands, like Champagne. Champagne was the first wine appellation – a geographic designation meant to deter fraud and encourage confident consumption. It is probably the most valuable “brand” in all wine. If Champagne is the top wine brand then Bordeaux must come a close second. Bordeaux wines are possibly the best, arguable the most famous and certainly the most expensive in the world. Or at least some of them are, because Bordeaux’s production includes much that is common, foul or unsellable at any price. 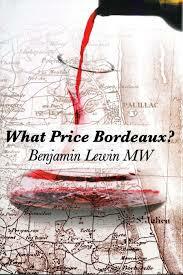 The paradoxes of Bordeaux and its famous brand are the subject of Benjamin Lewin’s new book, What Price Bordeaux? Although Dr. Lewin might disagree, I would say that one theme of his book is that the Bordeaux brand is a bit of a fraud. Bordeaux’s reputation is rooted in history, for example, as is the case of much Old World wine, but we learn that the Bordeaux wines of today bear little resemblance to wines of the past. This is a good thing, in some respects. The Bordeaux wines of history were thin products, “corrected” to meet market demand by the addition of darker wines from Spain and the South of France. Bordeaux wines today are more like their arch rivals from the Napa Valley, both by choice and as a consequence of global warming, which has nearly eliminated the climate differences between the two regions. The top brands in Bordeaux were established by the Classification of 1855, which grouped the chateaux into a rigid quality hierarchy based upon market prices at that time. This, Dr. Lewin’s analysis suggests, was a bit of a fraud as well, and not a very reliable guide to wine choices today. My favorite chapter examines the “second wine” phenomenon. Many Bordeaux producers (and almost all of the top chateaux) produce a second wine (selling at a lower price) in addition to the flagship bottling. The second wine is marketed to people like me, who probably can’t afford to buy the top wine but want an idea of what it might taste like. We buy the cheaper product and imagine the taste of the grand vin. The problem, Dr. Lewin tells us, is that there is no fixed idea of what a second wine should be and no certain relationship between the greater and lesser products. Indeed, he says, many second wines are poor values – over-priced because they benefit from the borrowed reputation of the top wine. Better off with a better wine at lower cost from a lower-tier producer, he suggests. Good advice for people who taste what’s in the bottle, not what they imagine to be there based upon the label. Dr. Lewin’s book is unusually full of data for a wine publication – wine writers are better with stories than bar graphs – but it fits perfectly his myth-buster approach. The maps and figures are colorful and engaging – or at least they engaged the wine geek in me. Each chapter examines some particular aspect of the Bordeaux brand and reveals the reality behind the curtain. I admire both the book and Dr. Lewin’s research and expertise, although I would have appreciated a stronger central argument. It is pretty clear that this exposé is a labor of love not malice – Dr. Lewin is convinced that the wines and the Bordeaux brand could both be much better. The first step is to acknowledge the facts and that’s where this book comes in. Dr. Lewin has done a service to the Bordeaux producers in this regard. Now it is up to them. kind of off the subject but i’m interested in the claim that global warming “has nearly eliminated the climate differences between the two regions”. i grew up in sonoma and i don’t remember golf ball sized hail ever, let alone in april. Napa froze this spring and i thought that was a very unusual event. right now it’s pushing 90 in napa with 40% humidity. bordeaux tomorrow forcast: 73 with 70% humidity. Climate has many dimensions and you are right to think that not all of them are converging as my comment might have suggested. But Lewin’s book has a great graph that shows how the heat levels, which are pretty important with red wines, have converged very dramatically for Napa and Bordeaux. Napa was once much warmer, but now Bordeaux has nearly caught up.